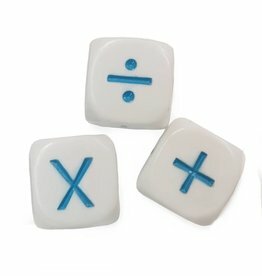 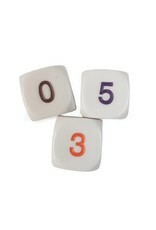 Unlike ordinary spotted dice, these six-sided dice are marked 0-5 in numerals instead of 1-6 in spots. 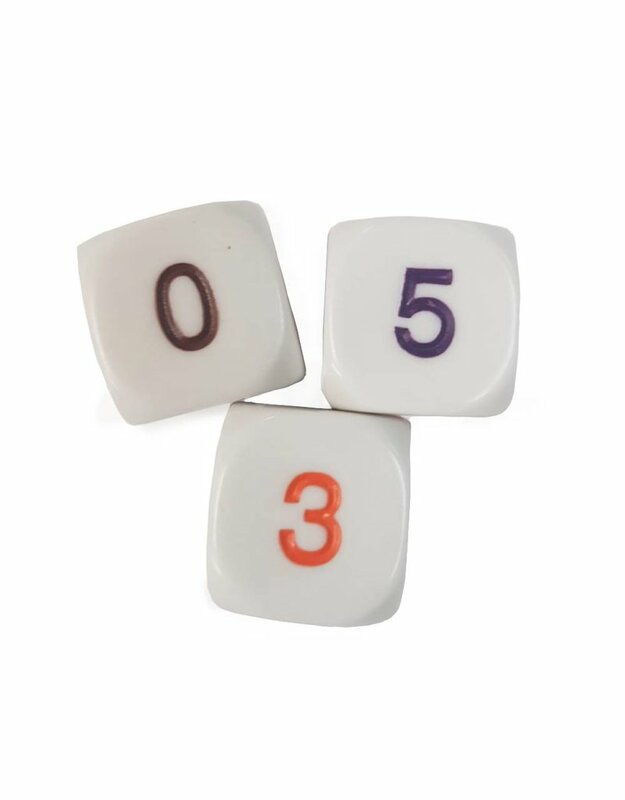 Like our 10-sided dice, the 0 on these dice are good for work with place value, adding to 10 and multiplying to 25. 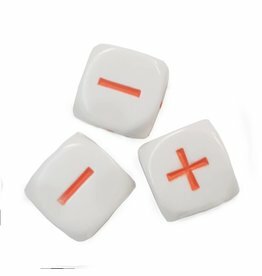 Their smaller range makes them excellent for introducing exponents.